Want to learn from the Masterchefs from Le Cordon Bleu Malaysia but do not have the time to do so? Fret not! We have heard your suggestions and we are opening our Saturday class for registration now! 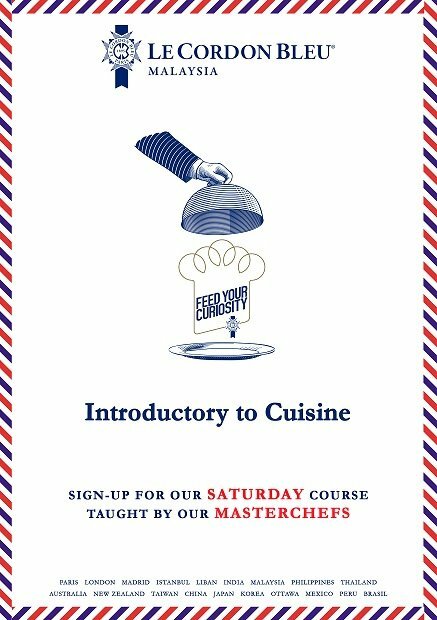 We are starting our first Saturday class with Certificat D'Assistant De Cuisine for all and similarly to our Diplôme de Commis Cuisinier course, those who completes the course will gain a certificate. Click here to download our registration form or call us to find out more.